If you like Stravinsky…check this out! 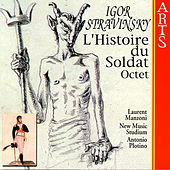 I was having a great conversation with a friend about conducting Stravinsky’s “A Soldier’s Tale” and I remembered this incredible recording that I fell in love with in April of 2012. Not only is the playing exquisite, but the narrator is brilliant! Click here to check it out!